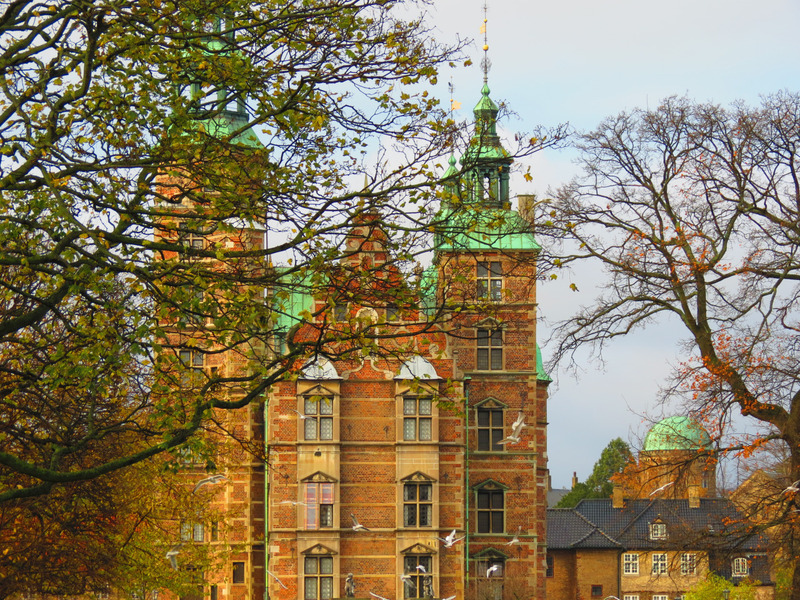 In the heart of the Danish capital, you’ll find the beautiful Rosenborg Castle sitting in the midst of its gardens. 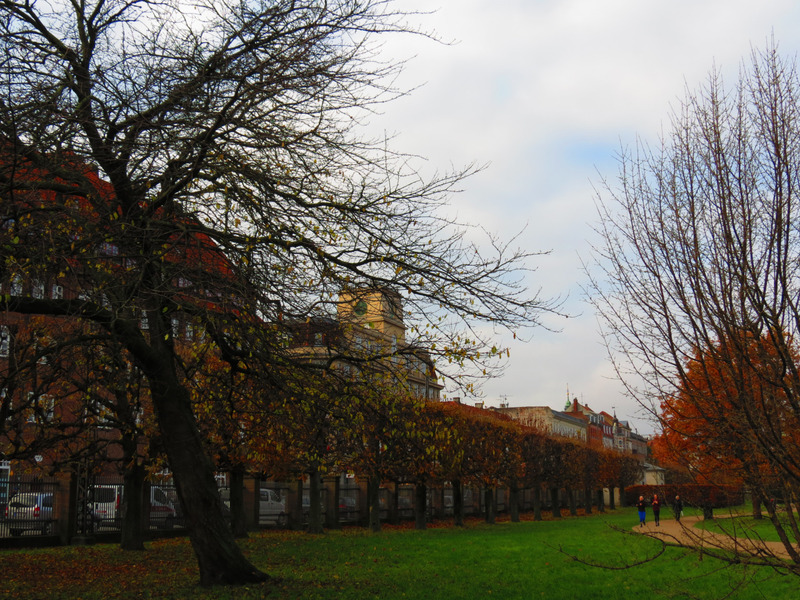 So is it really worth visiting this architectural beauty or is it best to spend time out in the city instead? 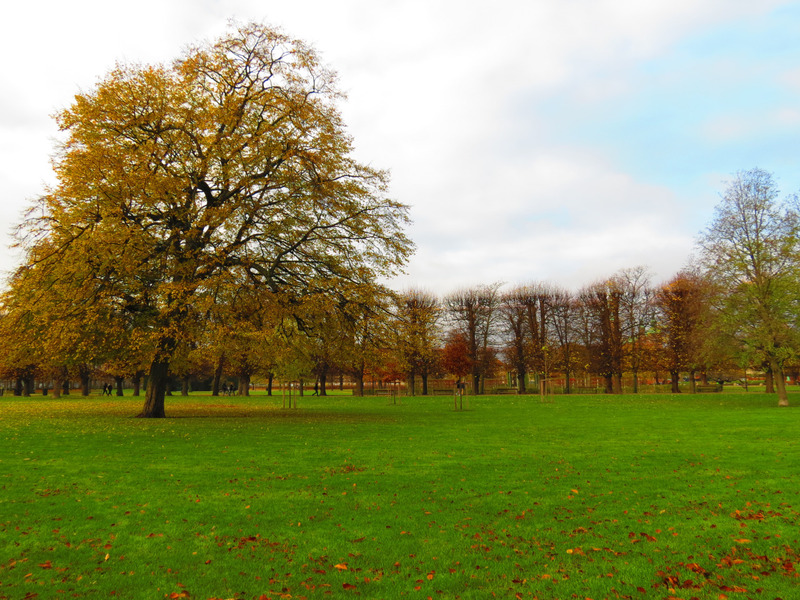 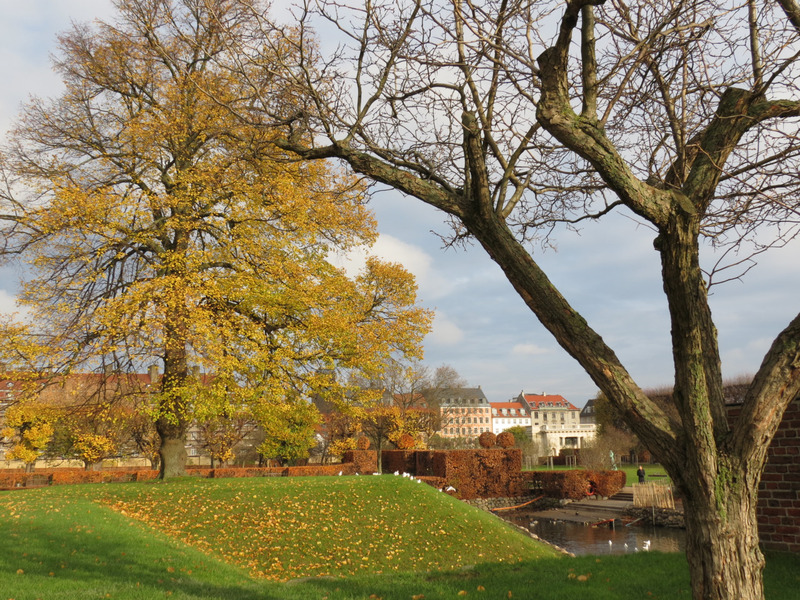 During this visit, it was the start of autumn, so the Rosenborg gardens were vibrantly colorful, which added to the charm of the place. 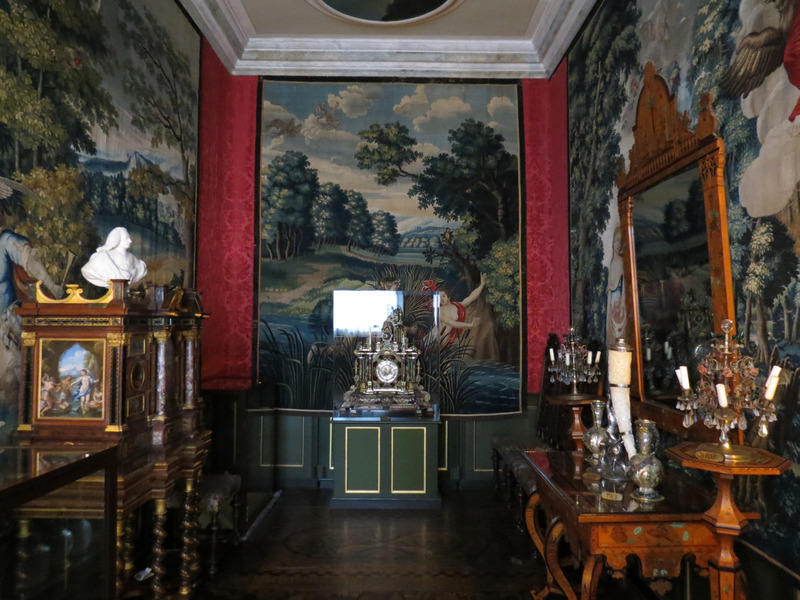 Though I’ve always had a particular fascination for castles and palaces, I’ve always been excited about seeing its gardens as well; as they are always equally lovely. 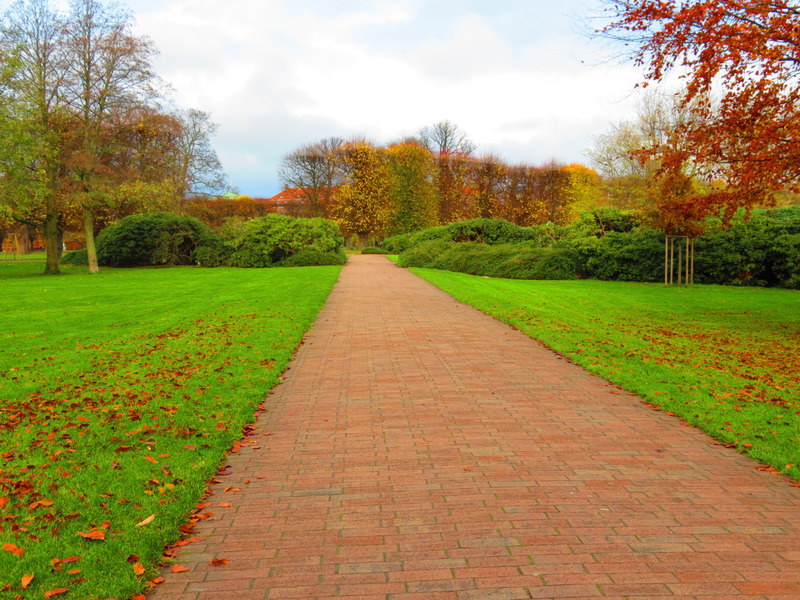 Though not as grand as the gardens I saw months before in Schönbrunn Palace, I still found the whole path leading to the castle enjoyable. 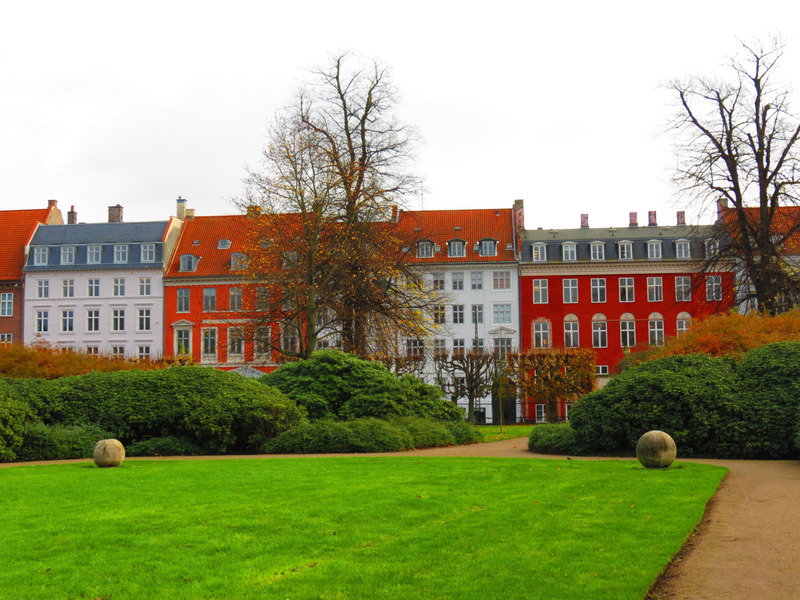 Surrounding the Rosenborg castle gardens, are these delightfully charming Danish buildings, which you’ll see all around the city. 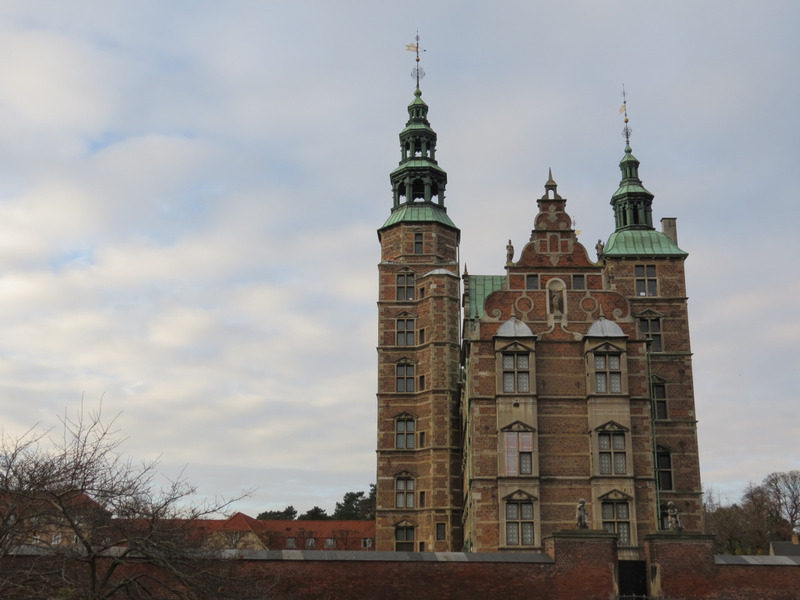 As you walk through the gardens, you’ll get a glimpse of Rosenborg Castle, standing high and mighty in the midst of the gardens. 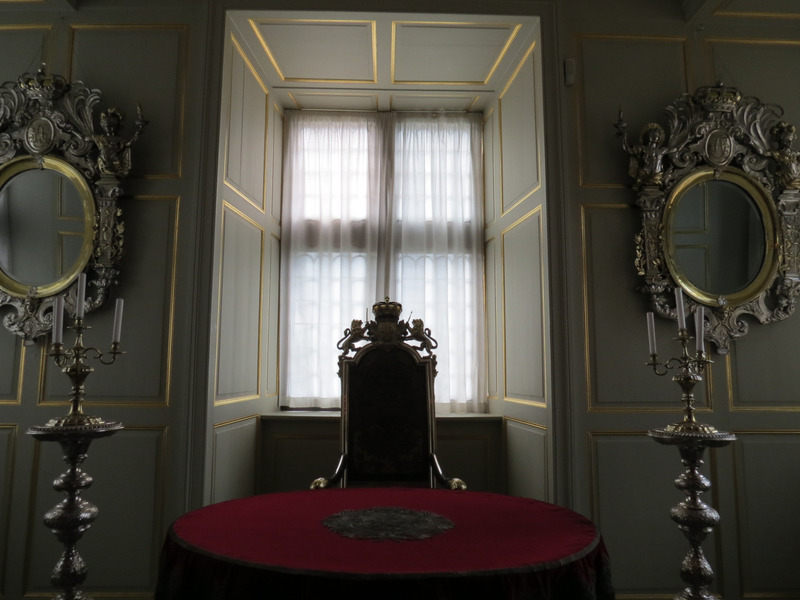 Though not as massive as other royal residences I’ve visited previously, Rosenborg had this unique look that made me even more excited to see what was inside and learn more about the new country I was exploring. 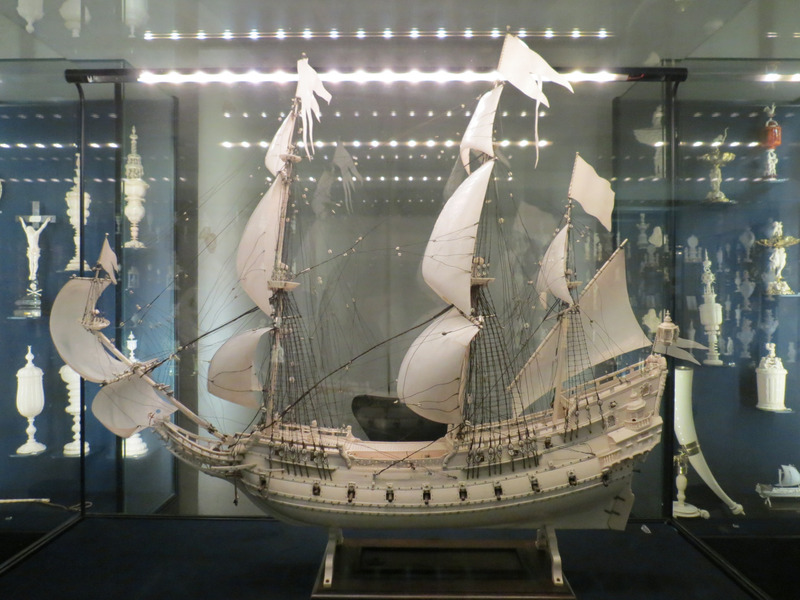 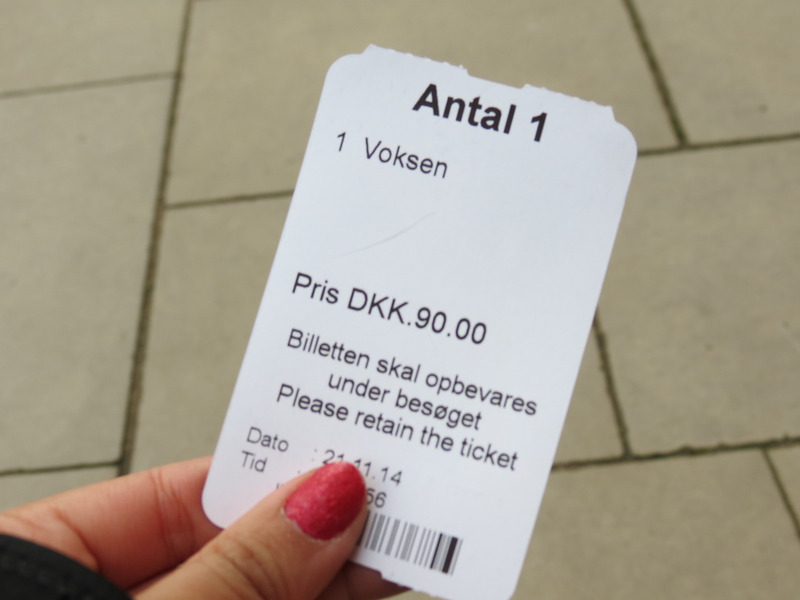 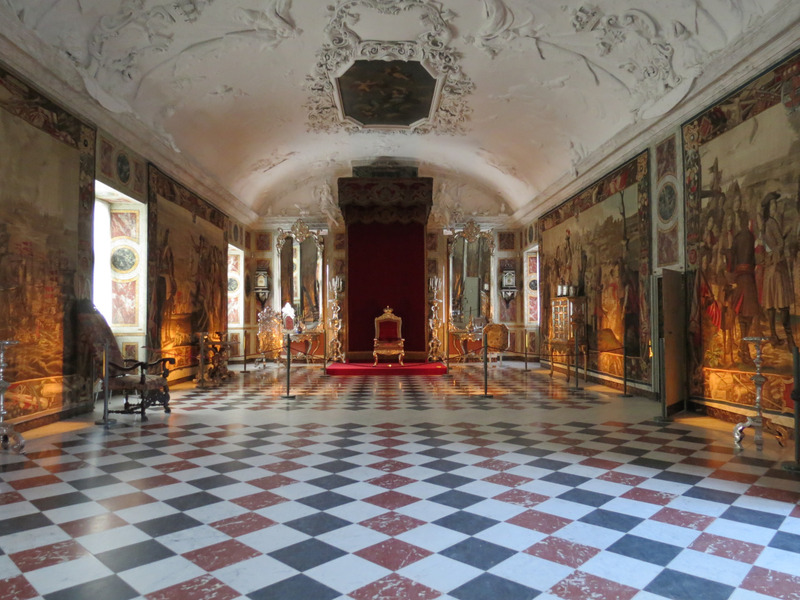 For about 15USD, you’ll get a ticket to visit the interiors, a single-page map, and the chance to see Denmark’s Crown Jewels and Royal Regalia. 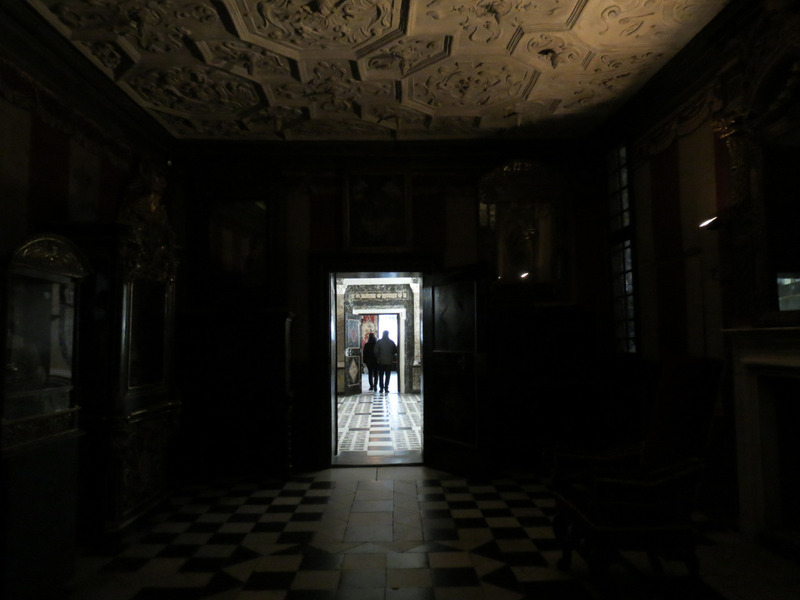 Though the Castle doesn’t provide audio guides for tourists like most Royal Residences do these days, there are narratives you can read in each room; but you can also use your Apple gadgets to download the guide, though I opted for the former. 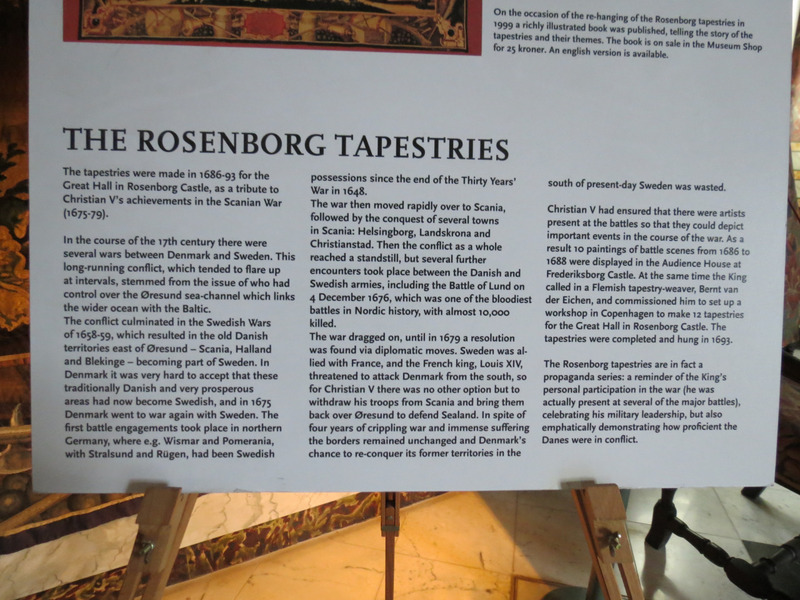 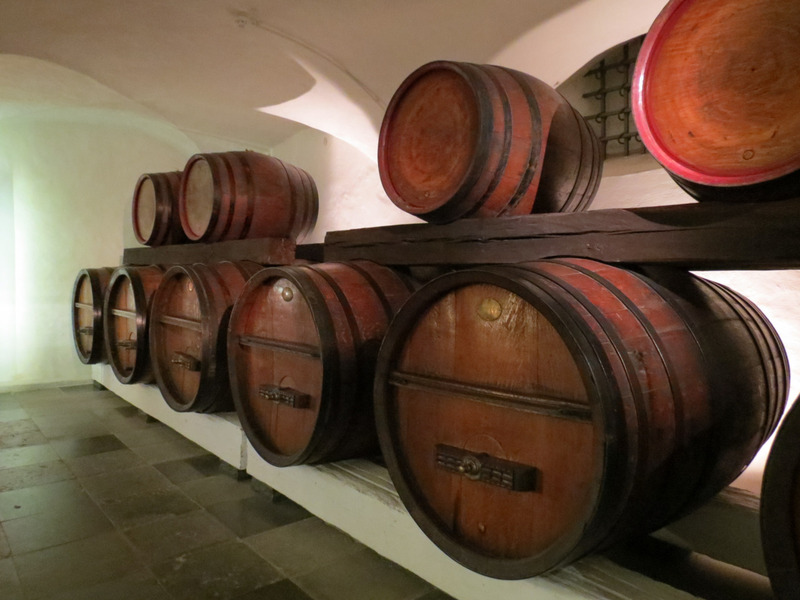 This post will only describe bits and pieces of the history Rosenborg entails, to preserve the rest of the Castle’s story when you get the chance to visit. 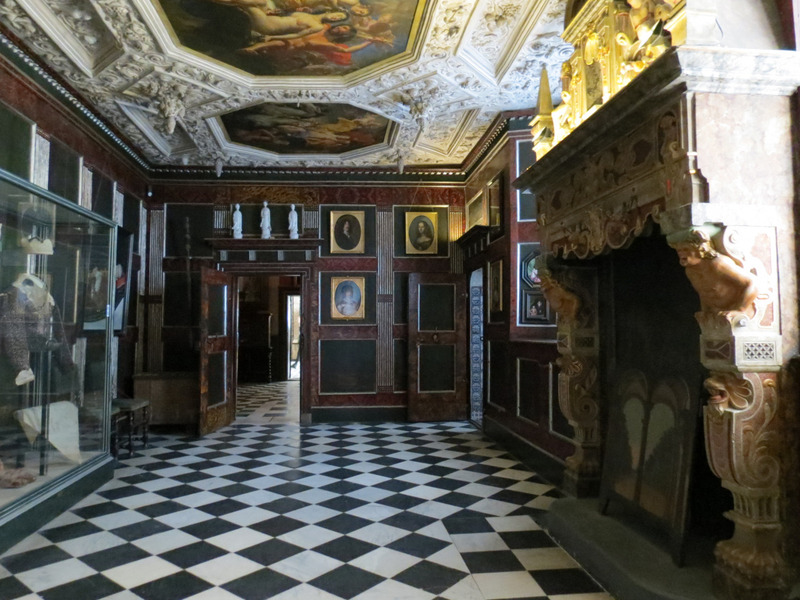 Below, you’ll see King Christian IV’s bedroom, the Royal’s private quarter, where he passed in 1648. 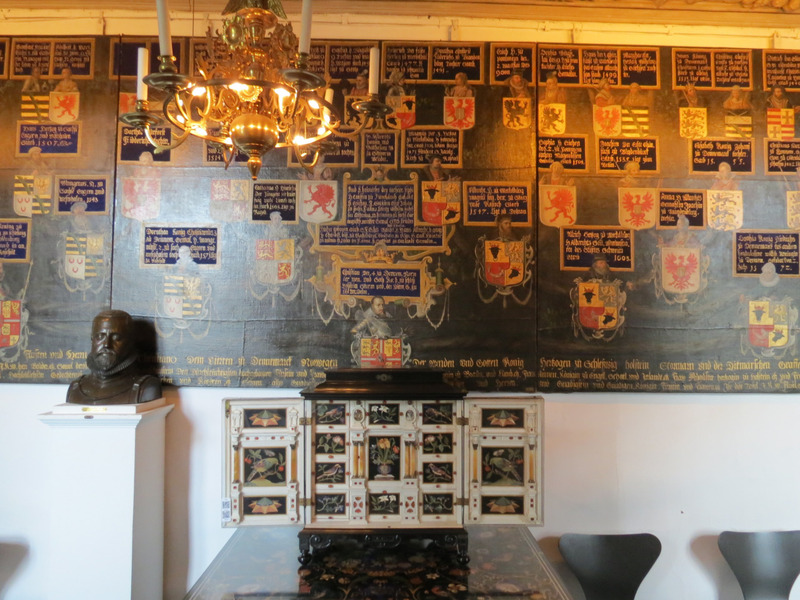 He ruled as king from 1588 to 1648 over Denmark-Norway, back when they were considered as one political entity, including Iceland, Greenland, and the Faroe Islands; a fact I never would have known had I not visited this architectural beaut. 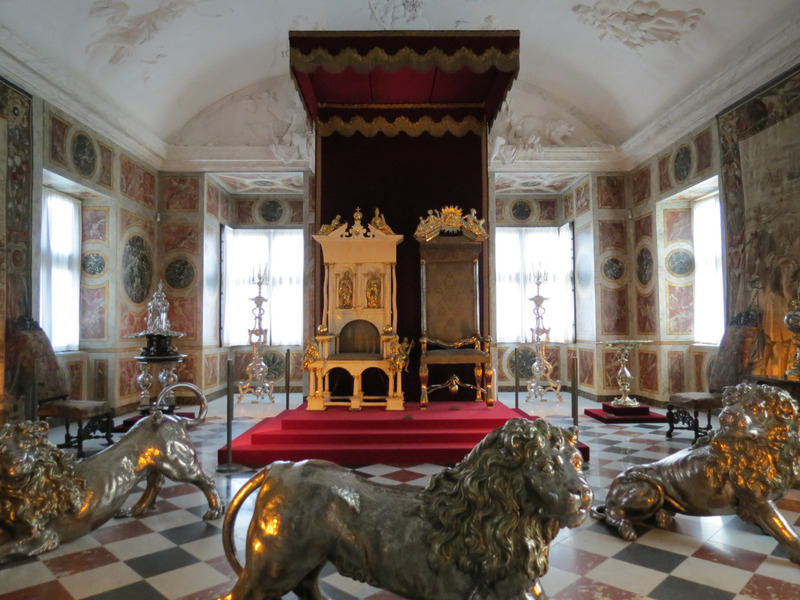 In this room, you’ll find King Christian IV’s blood-stained clothes used during the naval battle of Kolberger Heide in July 1644. 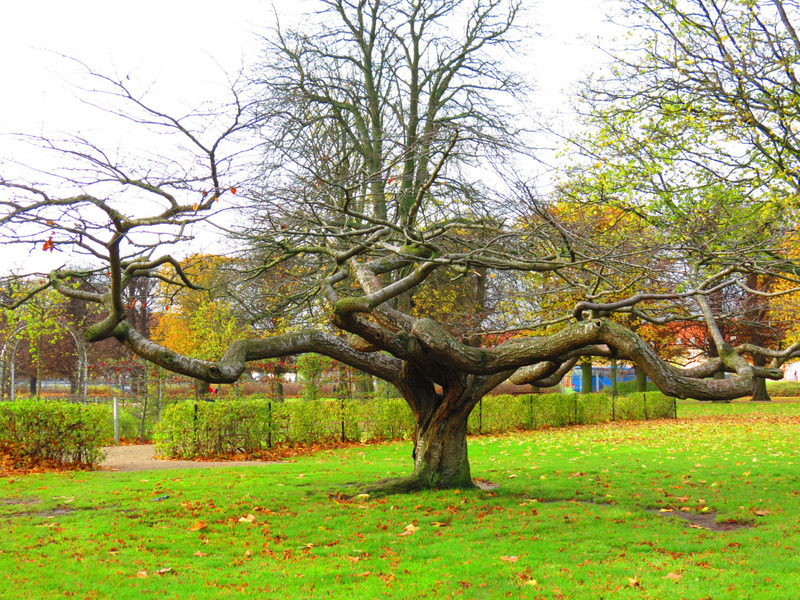 He sustained injuries that not many thought he would survive from, but fortunately did. 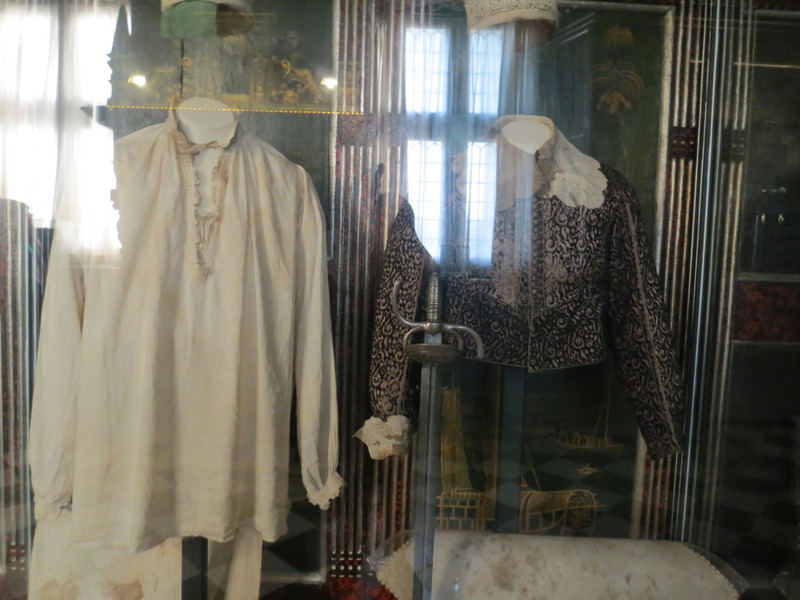 As I stared into the glass case protecting these two pieces of historical clothing, I somehow got goosebumps as I realized how much these two items carried so much history. 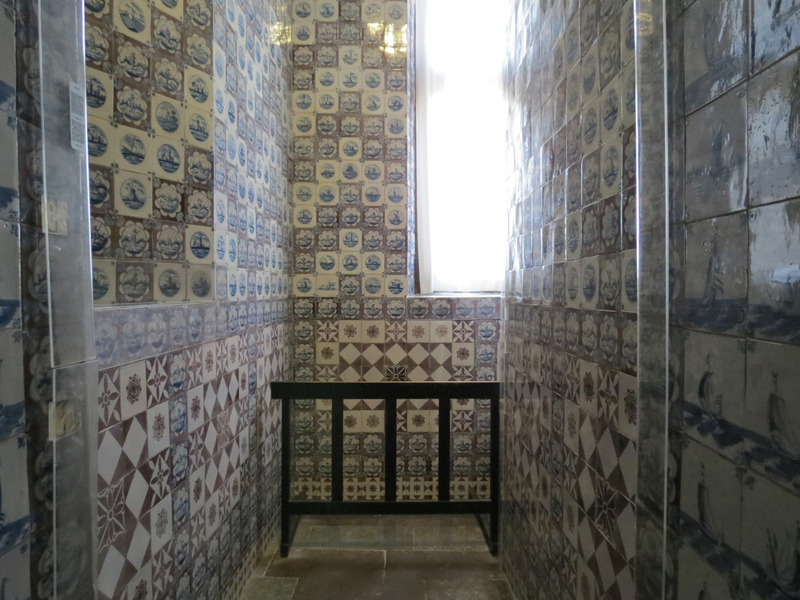 Though not obvious at first glance, this intricately-tiled room is the bathroom connected to Christian IV’s bedroom. 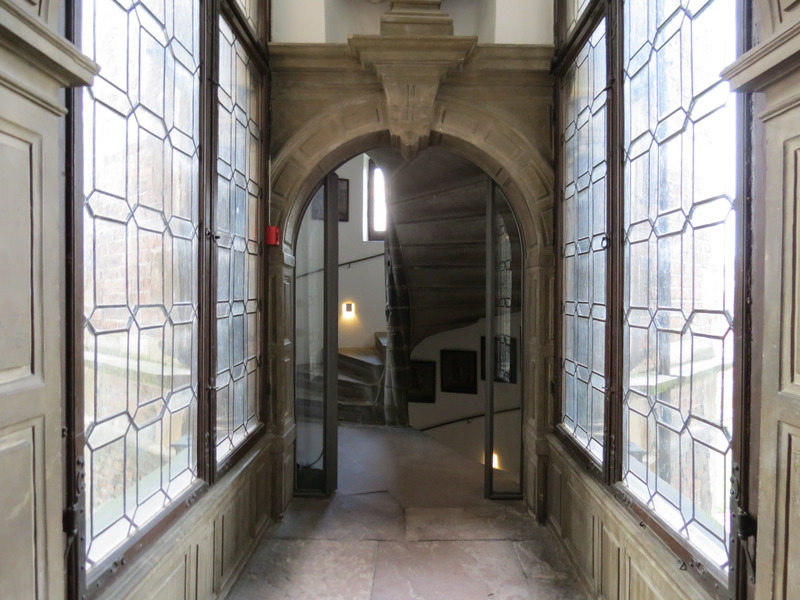 This hall is the Stone Passage, housing items dating back to the 1600s, leads to the staircase going to the upper floors. 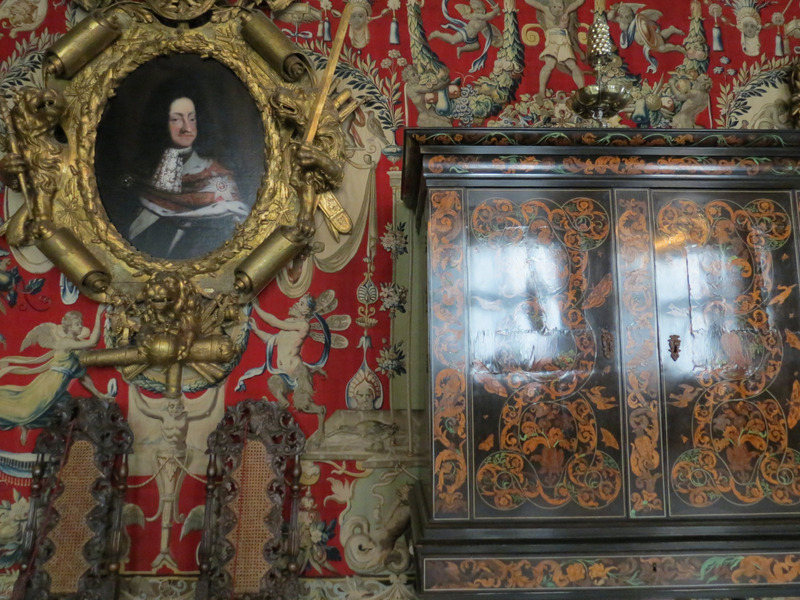 Passed on from one generation to another, this Royal Residence saw one ruling line after another. 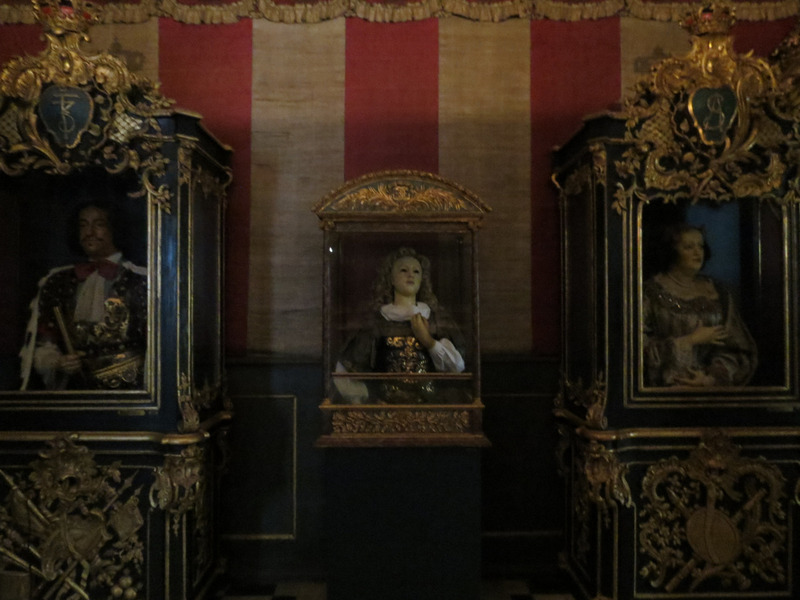 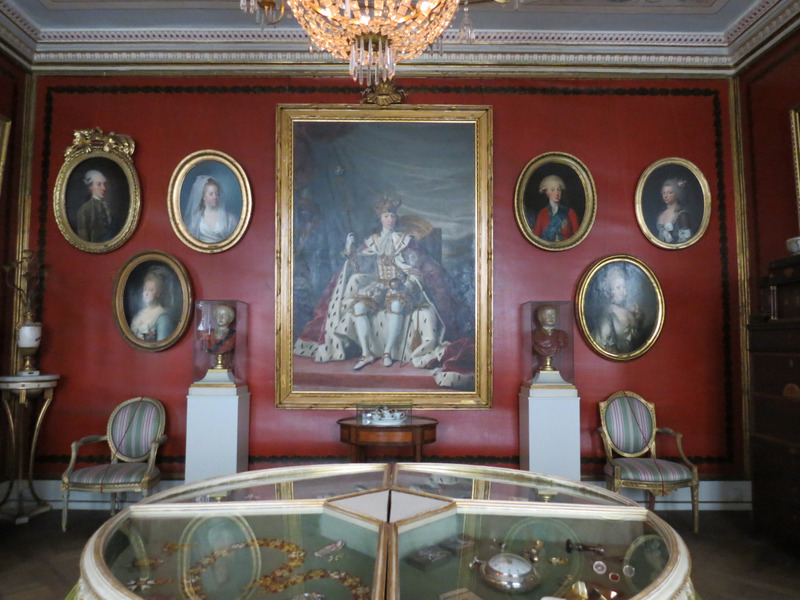 The room below depicts Frederik IV’s cabinet; though mostly used by his sister as an audience chamber. 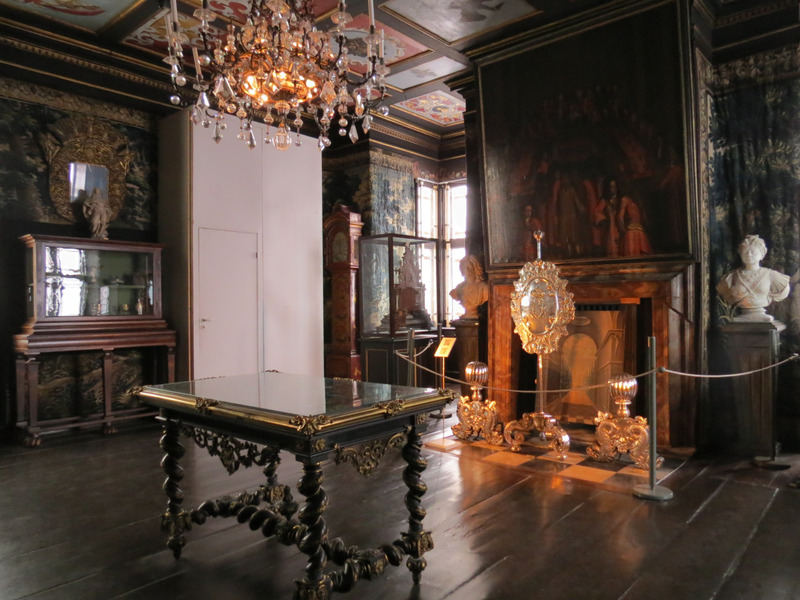 This was my favorite room in the Castle, as everything seemed to be perfectly placed and was absolutely pleasing to the eyes. 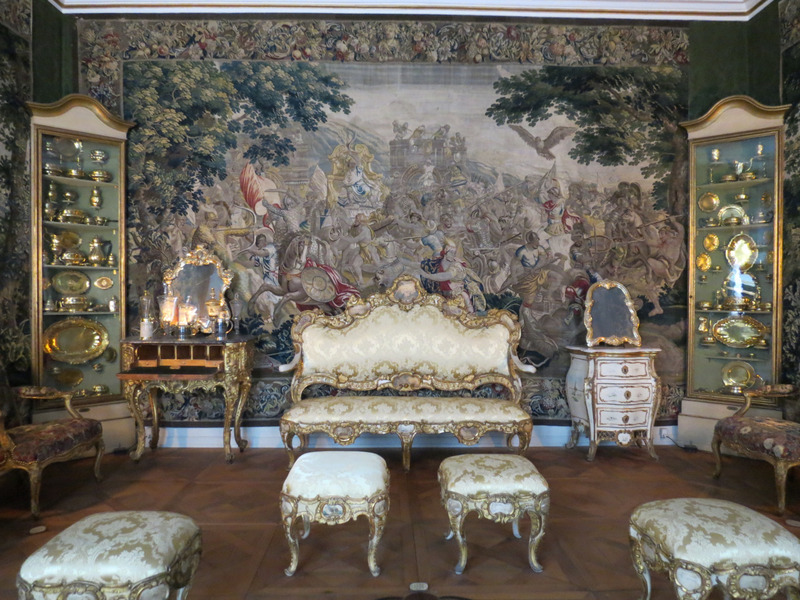 Christian VI’s Room housed elegant furniture and tapestries depicting the life of Alexander the Great. 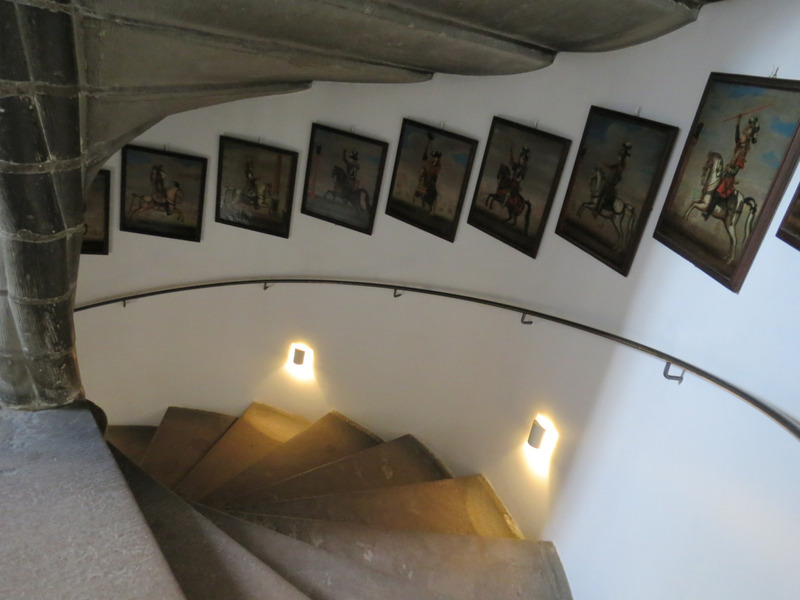 On the third level, you’ll the spectacular Knights’ Hall, where they held banquets and celebrations back in the day. 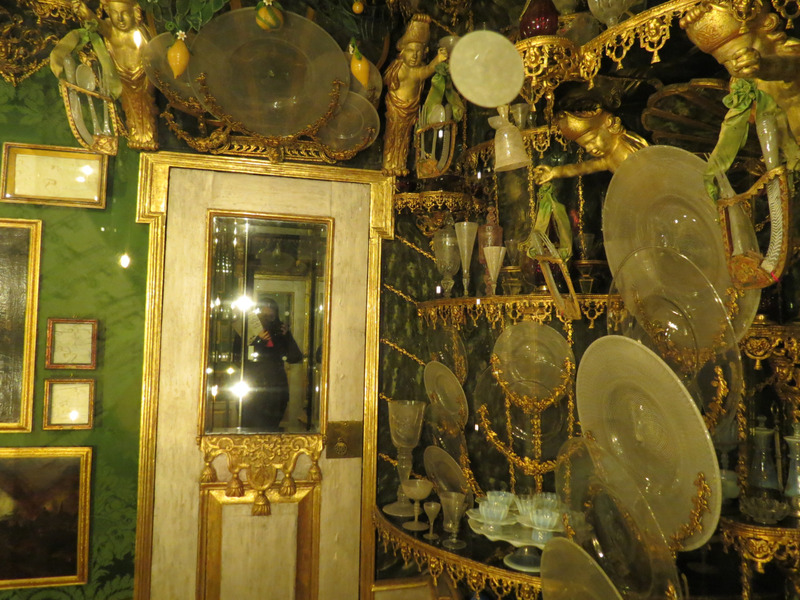 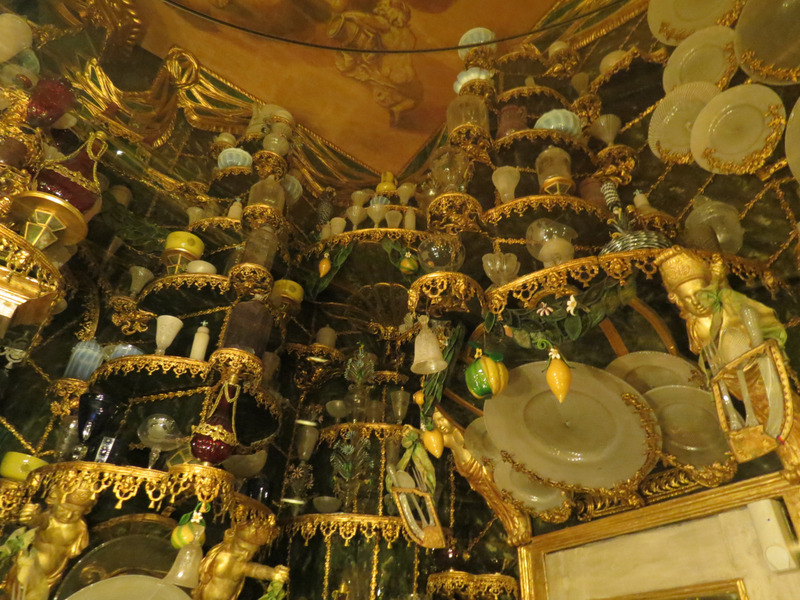 Right by the Knights’ hall, there’s a door leading to a small room, enclosed with some of the Castle’s most prized possessions – gorgeous Venetian glassware that’ll leave you speechless as you appreciate each and every piece. 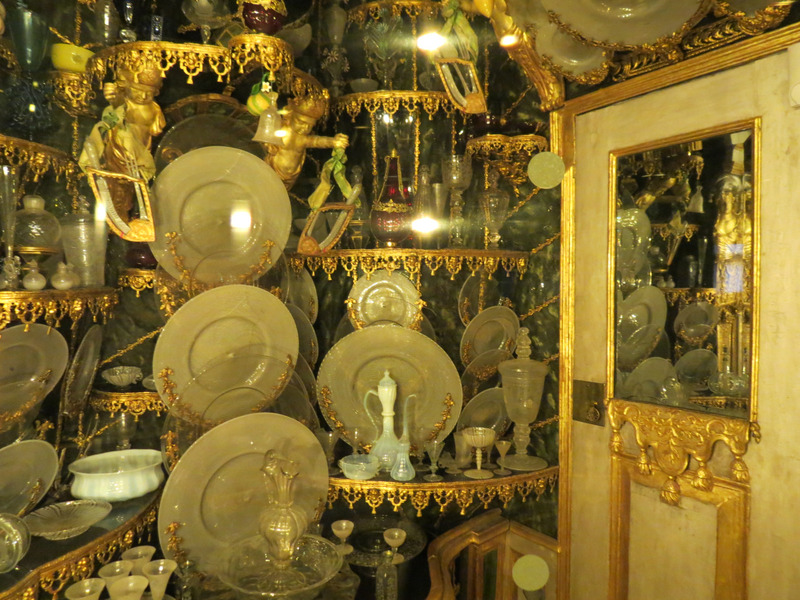 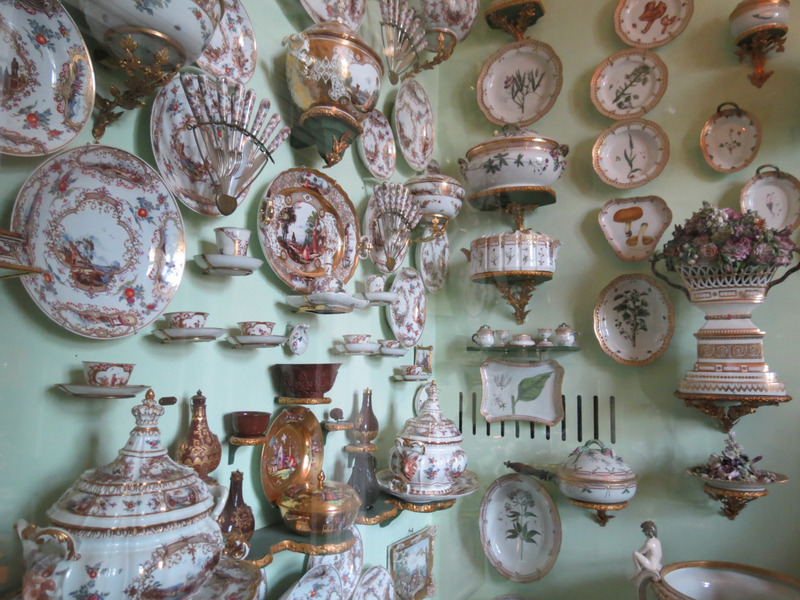 Another small room right by the Knights’ Hall houses the Castle’s Chinaware; though lovely as well, seeing this after the Venetian glassware collection was kind of a letdown. 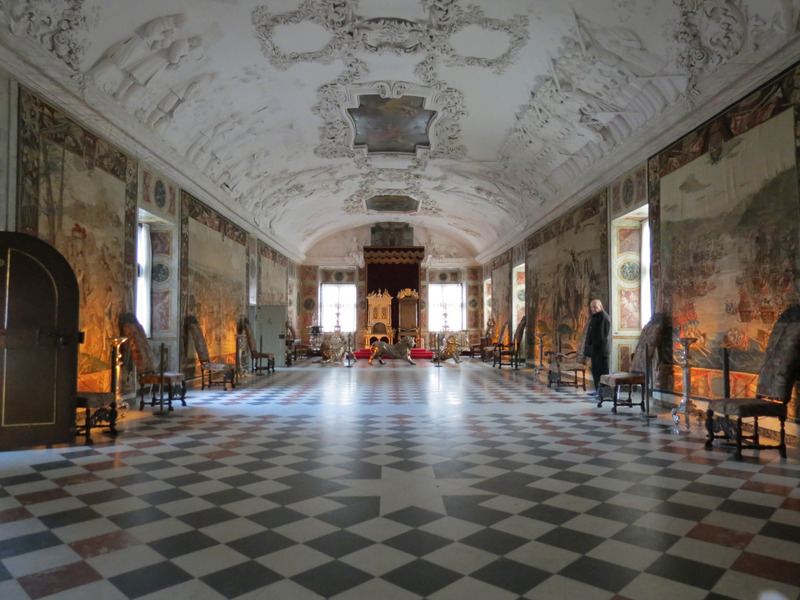 Each time I visit castles and palaces in Europe, I always look forward to what is more commonly-known as the Banquet Hall; for Rosenborg, it was called the Knights’ Hall. 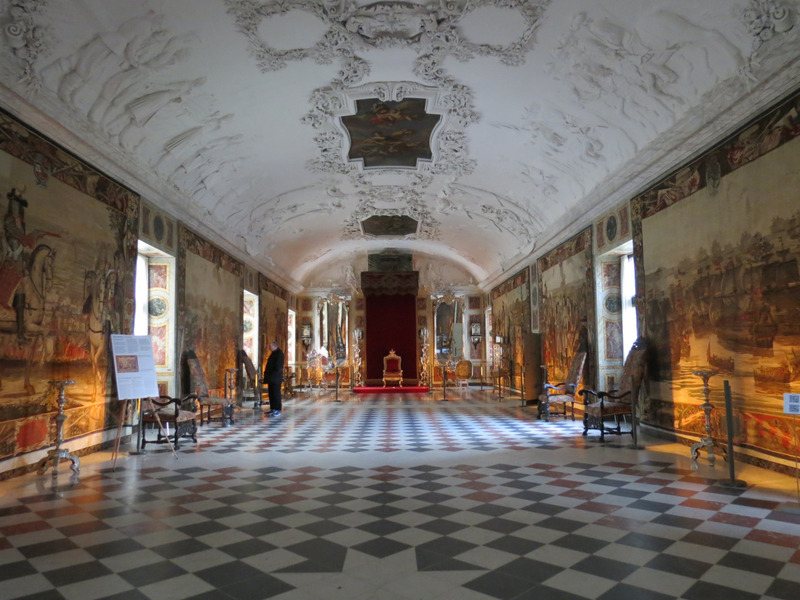 And this was the room I spent the most time in, not just because of its size, but because of the historical tapestries hung around the Hall, portraying Denmark’s most important and defining years in history. 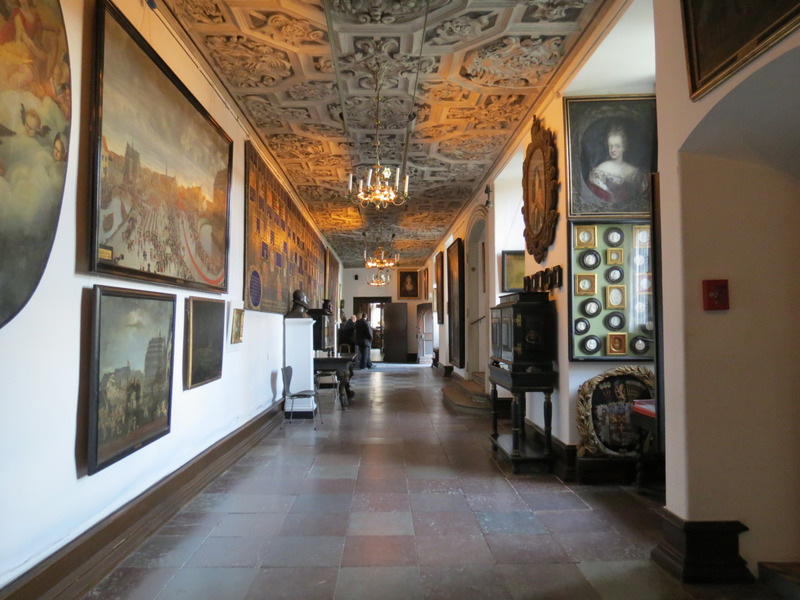 As I exited the main Castle, I was told by the people at the information desk that they were closing in 30 minutes and that if I still wanted to, I could visit the Treasury. 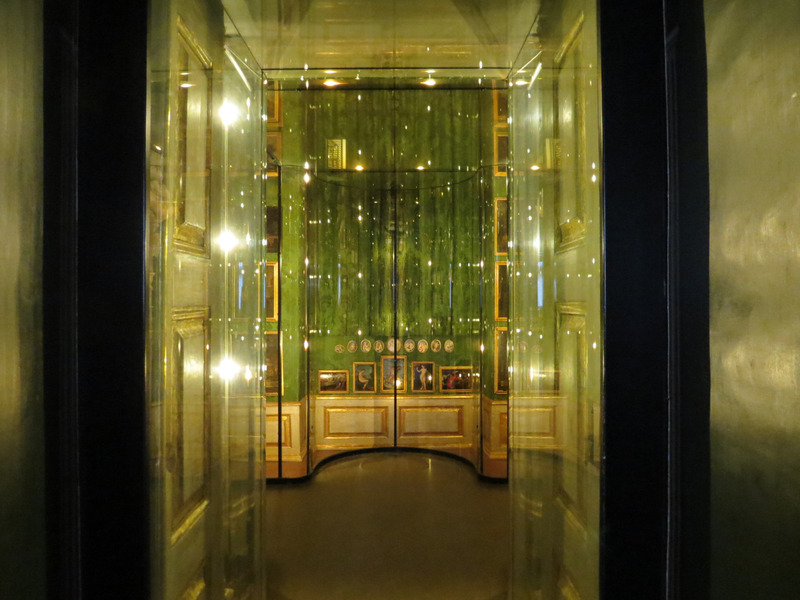 It was suggested that I go straight to the Crown Jewels, which is the main highlight, but I had to take a look at the other areas, just to be sure. 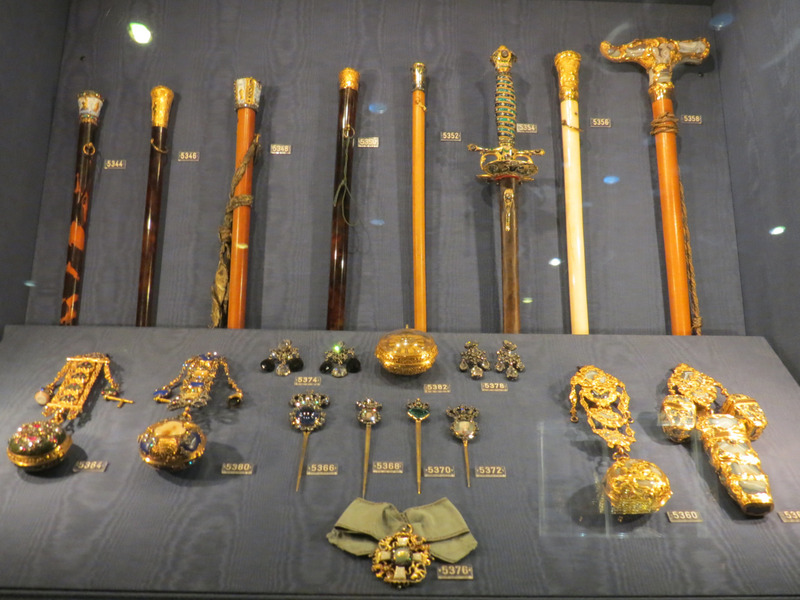 The treasury housed huge barrels, an old wine collection, different pieces of rifles and firearms, which I didn’t take much of a liking to; so I headed straight to the Crown Jewels after getting a glimpse of it. 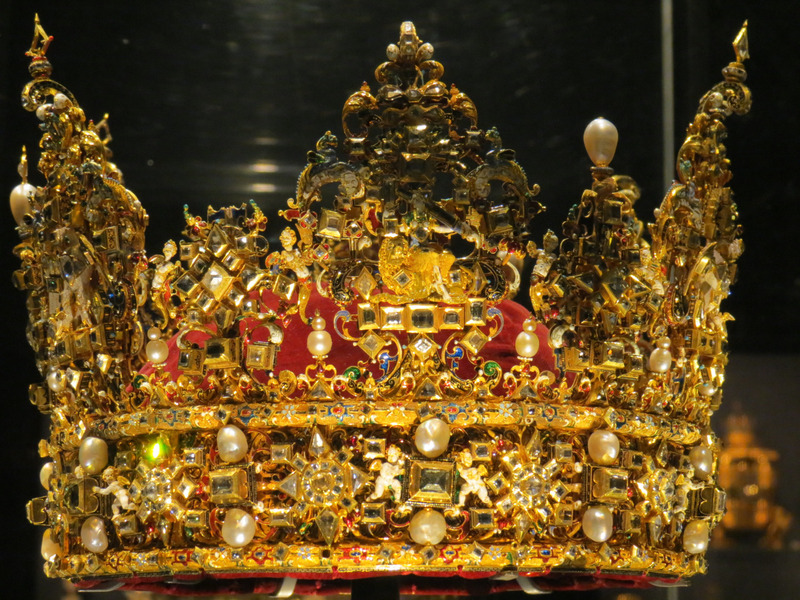 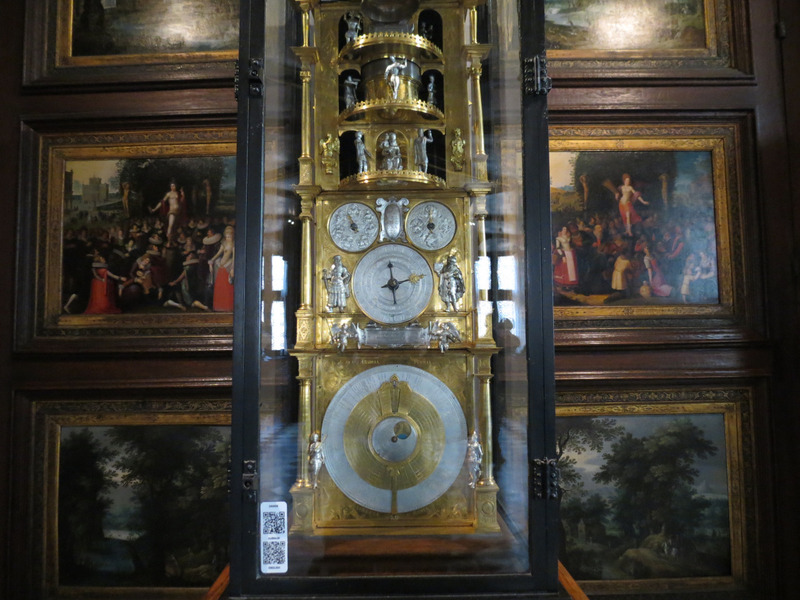 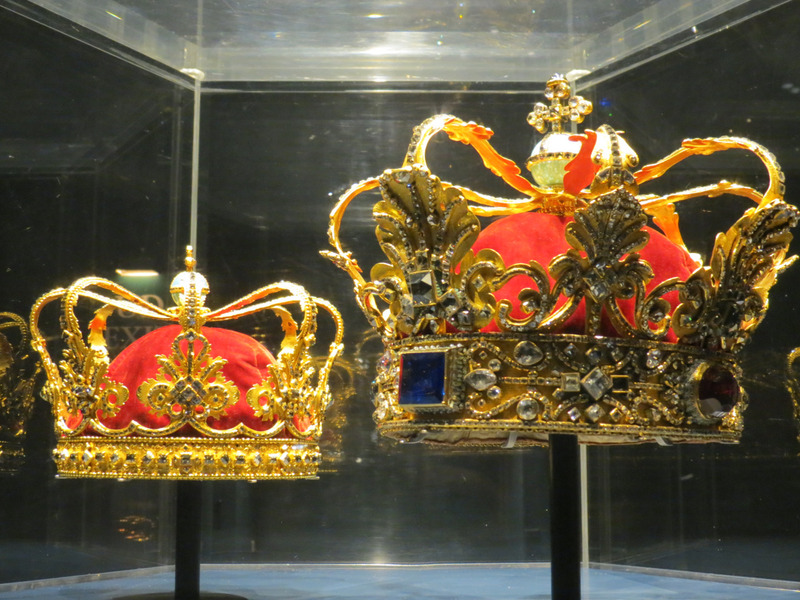 And let me tell you that the Danish Crown Jewels are indeed a sight to see. 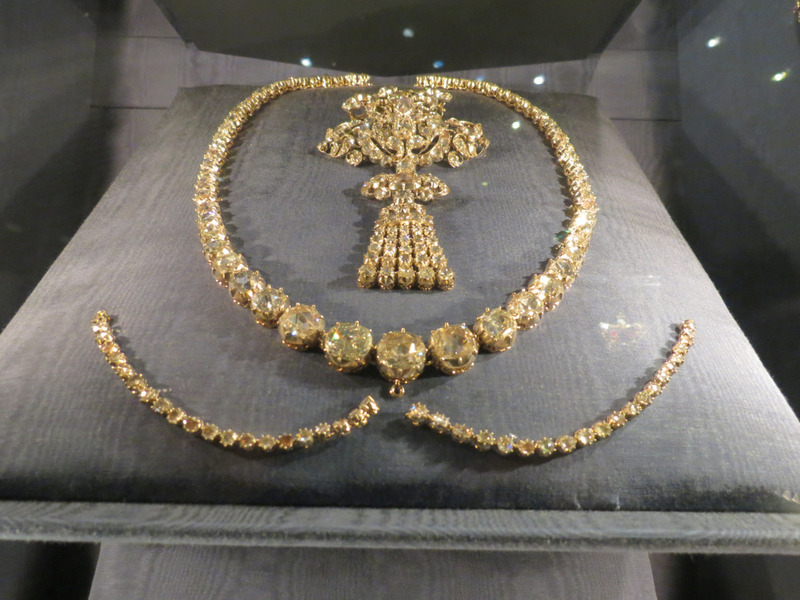 Since I’ve always been enchanted with jewelry, seeing these royal pieces absolutely stunned me. 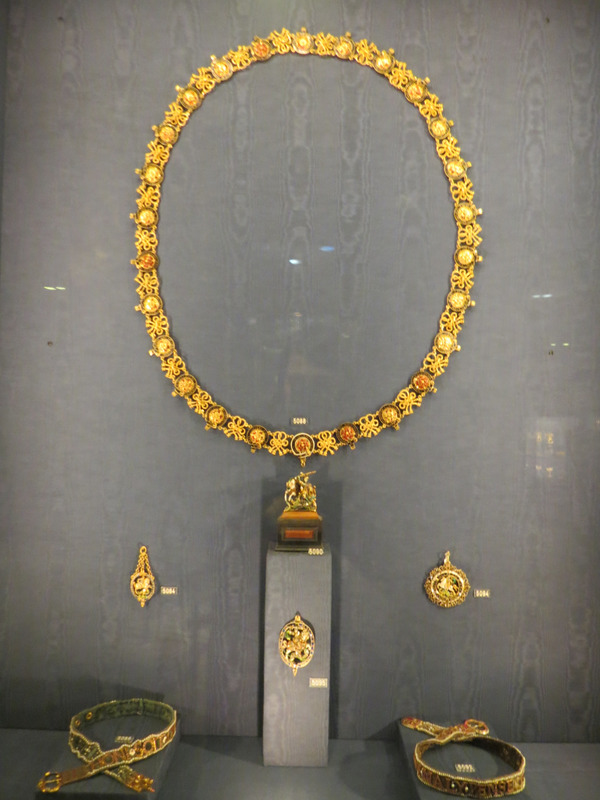 Though the crowns were spectacular, the pieces below were my favorite among the collection. 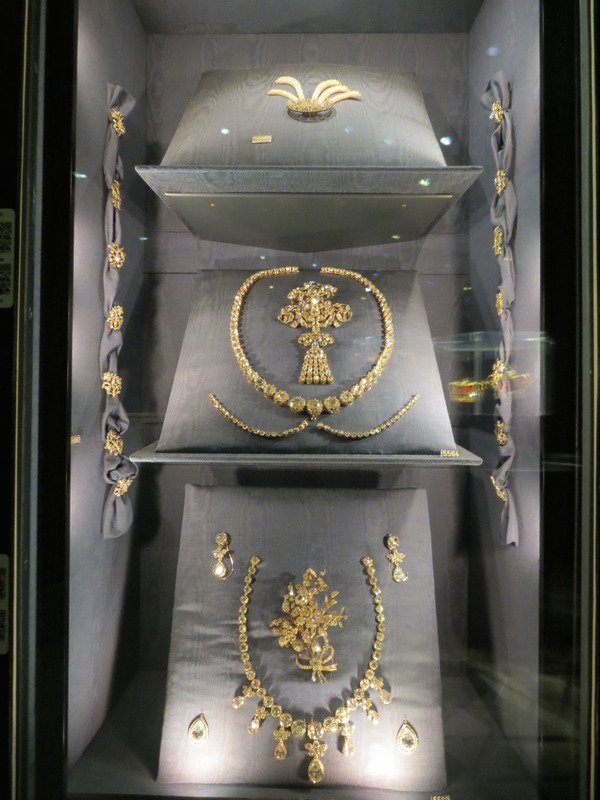 You can never go wrong with diamonds. 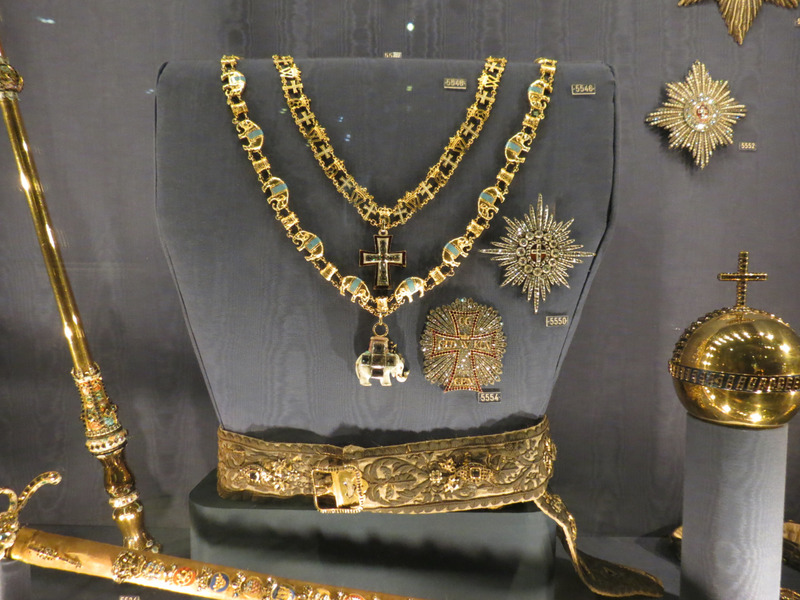 Ending the visit with these whimsical jewels, I knew it was an afternoon well-spent in Rosenborg. 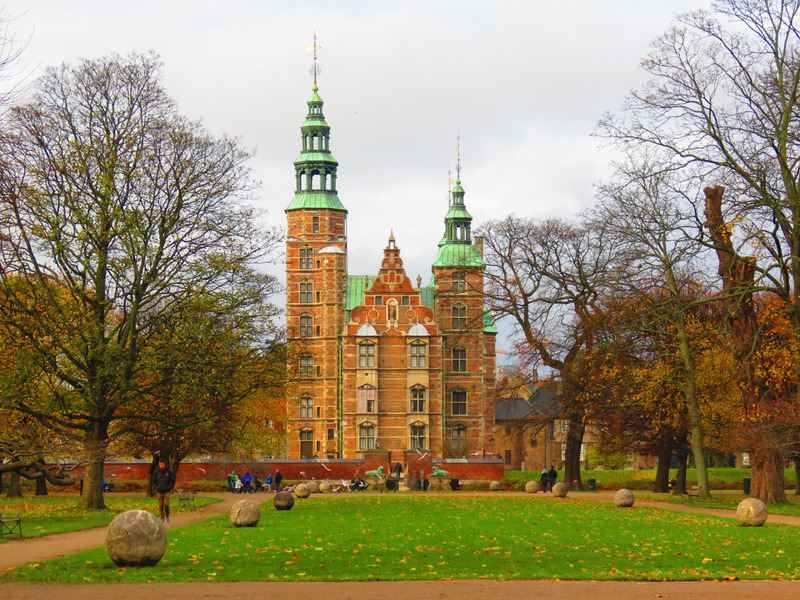 So if you’re planning a visit to Copenhagen, I highly suggest that you don’t miss out on Rosenborg Castle & Gardens, as it is one of the city’s must-sees!